Fraternal Golf We had a great day of golf ! 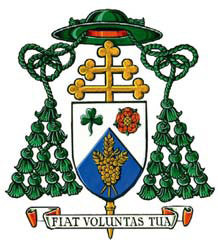 Pastoral Letter to the People of the Archdiocese of Edmonton from Archbishop Richard Smith on the occasion of his 1st Anniversary of Installation as Archbishop of Edmonton. The following appeared today in The National Post. A few years ago I got involved in the sponsorship of this event. My family and I have participated in the event the last 4 years, it has been a lot of fun.